Reed is in line to start at defensive tackle for the Seahawks in 2018, Brady Henderson of ESPN.com reports. 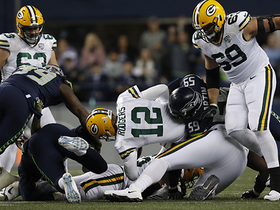 Analysis: Reed reached 45 tackles (23 solo) and 1.5 sacks in his second season. When he was healthy, Reed averaged 44 defensive snaps per game, but this rate rose to 53 when Nazair Jones suffered an ankle injury. If Reed keeps up these snap counts, he'll be in good position to eclipse the 50-tackle mark in 2018. Reed had 45 tackles, 1.5 sacks and one forced fumble through 15 games in 2017. Analysis: Reed was given an increased role in his second season, seeing an extra 10 defensive snaps per game. His pace of three tackles per game is decent for a defensive tackle, but adding a better pass rush would vault him into a high-level IDP role. Reed (hamstring) is listed as active Sunday at San Francisco. Analysis: Reed missed only one game as a result of a hamstring injury. 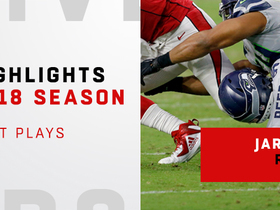 After practicing in full Thursday and Friday, the 2016 second-round pick should be able to handle his full allotment of snaps, which has ranged from 53.3 to 73.0 percent of the defensive work in his eight healthy appearances this season. 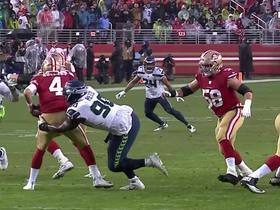 Reed (hamstring) is considered questionable for the Seahawks' matchup versus the 49ers on Sunday, AP Sports Writer Tim Booth reports. Analysis: Reed was sidelined for last week's loss to the Falcons, and his status for Week 12 is not expected to be verified until closer to game time Sunday. Nazair Jones would presumably fill in at defensive tackle for the 24-year-old if he has to remain sidelined. Reed (hamstring) was a full participant at Thursday's practice, Michael-Shawn Dugar of SeattlePI.com reports. Analysis: Reed missed his first game of the season when the Seahawks lost to the Falcons on Sunday. However, his participation at Thursday's practice indicates he has recovered from the issue. Assuming he avoids any setbacks, look for the 24-year-old to resume his usual role on the defensive line in the team's Week 12 game against the 49ers. Reed (hamstring) is inactive for Monday's game against the Falcons. 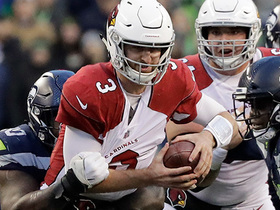 Analysis: Reed is nursing a hamstring injury he sustained in Week 10 and didn't get on the practice field until Saturday, when he only participated in a limited fashion. 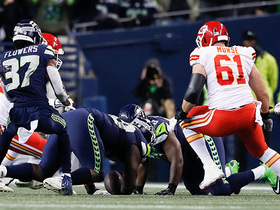 His absence Monday will particularly be felt on early downs, as Reed has been performing as one of the better run-stuffing defensive tackles in the league. 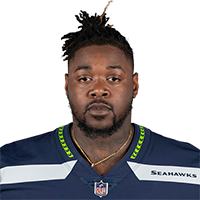 Reed (hamstring) has been ruled questionable for Monday night's game against the Falcons, John Boyle of the Seahawks' official site reports. Analysis: Reed suffered a hamstring injury last Thursday against the Cardinals and did not practice all week as a result. 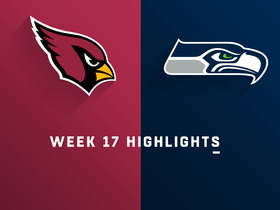 Should he be ruled out, look for rookie Nazair Jones and Garrison Smith to see increased defensive reps.
Reed will not return to Thursday's matchup against the Cardinals due to a hamstring injury, Darren Urban of the Cardinals' official site reports. 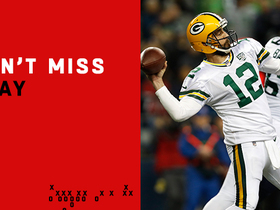 Analysis: Reed went down mid-way through the first quarter. 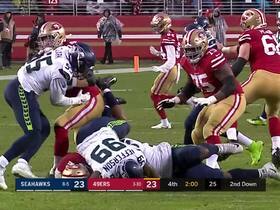 While the severity of the injury is unknown at this time, it is enough to keep the 24-year-old defensive tackle sidelined for the remainder of the game. 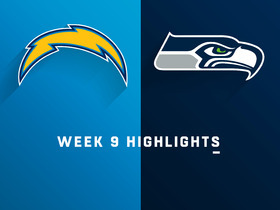 Reed (concussion) was a full participant at Thursday's practice, John Boyle of the Seahawks' official website reports. Analysis: Reed came out of the Seahawks' Week 8 victory over the Texans with concussion like symptoms, but he appears to have been cleared by the team given his full participation Thursday. Assuming the 24-year-old avoids any setbacks, he looks on track to play in Week 9.